Grand Master of the Grand Orange Lodge of Ireland, Edward Stevenson, and Siofra Healy, Director of Income Generation with the Northern Ireland Children's Hospice, pictured at Stormont ahead of this month's Ulster Covenant parade and family fun day. 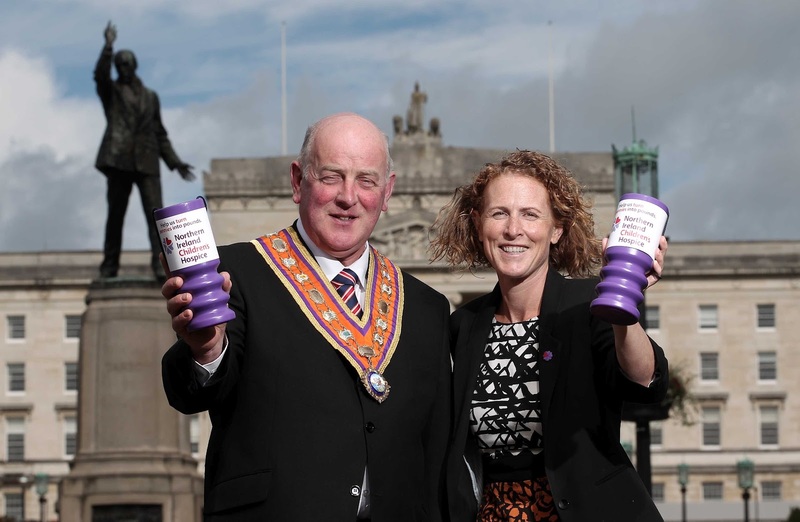 THE Grand Orange Lodge of Ireland has chosen the Northern Ireland Children’s Hospice as its charity partner for a major event later this month to mark the centenary of the Ulster Covenant. Thousands of people are expected to converge on the Stormont estate on Saturday September 29, when the east Belfast venue provides the setting for the culmination of a Loyal Order parade and family fun day. The procession – which will commence from Belfast city centre at 11am – is expected to be one of the largest demonstrations witnessed in Northern Ireland in recent times. 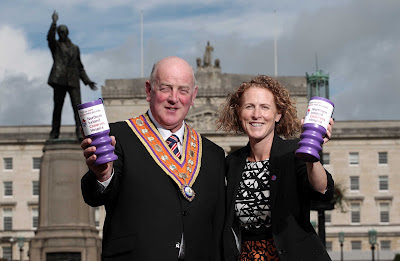 In supporting the Northern Ireland Children’s Hospice, the Grand Orange Lodge hopes to raise money for local children and families who depend on hospice services. The charity provides specialist care to children and young people with life limiting conditions. Grand Master of the Grand Orange Lodge of Ireland, Edward Stevenson, said that the Institution wished to leave a “lasting legacy” to the local community as well as commemorating a formative event in the history of the British Isles. “Donations by members of the Loyal Orders, their families and supporters at our Ulster Covenant celebrations will make a real difference to young children with life limiting illnesses and their loved ones. “If each lodge were able to raise just £100 through a collection or a fundraising event ahead of the celebrations, we could raise enough money to fund four Children’s Hospice Community Nurses for an entire year. “Every pound raised from this event will be used to fund community nurses who provide specialist care to children and young people in their own home. To make an immediate donation to the Northern Ireland Children’s Hospice, please text the word GIVE followed by £1.50, £3, £5 or £10 to 70444. The text service costs your chosen donation amount, plus network charge. Northern Ireland Hospice receives 100 per cent of your donation. Obtain bill payers permission. Customer care 0844 847 9800. Charity No XN45696.